Today I had a good day, I've been struggling a bit recently trying to juggle work and baby, something I'm told will never get easier! ......but I'm not going to moan about that, instead I'm going to tell you about wiggly jigglers which is a drop in 'event' at the Rich mix cinema on Bethnal green road every second Monday. It looks a bit like you have stepped inside a magicians dream, as there are chiffon scarves-( which are a real hit with every baby!) 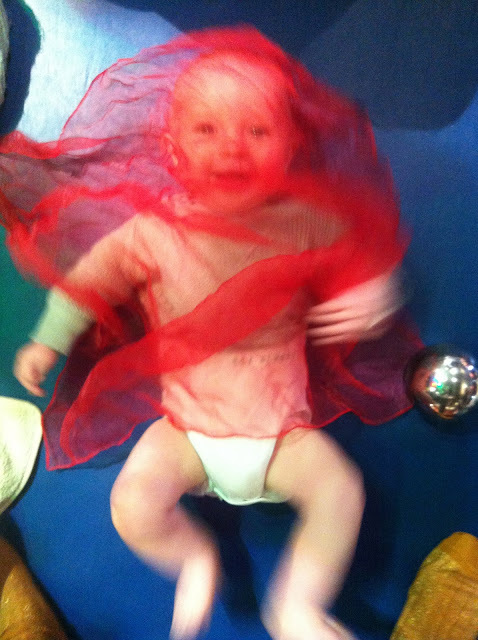 silver balls, bright lights, music, and crash mats everywhere, so much stimuli for babies and toddlers alike. I found it very good to get out of the house and meet other nice mums. 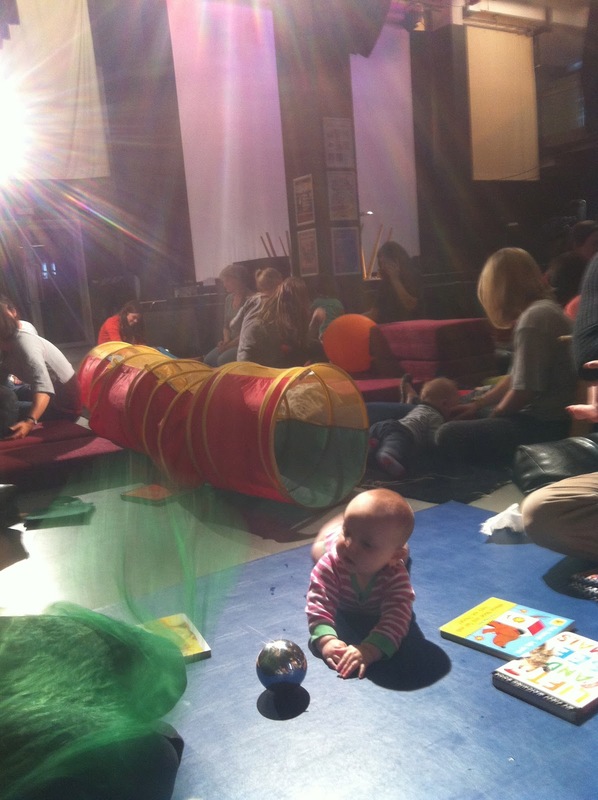 A lovely lady called Jasmine Pasch a movement practitioner comes round and talks to you about how your child is progressing with his or her crawling etc. and the best thing about it is it's only £3.00! Donna - it does get easier!!!!! In those first few months I couldn't see how I would ever ever be able to do anything ever again....ever.....but bit by bit we have all adjusted to each other and found space for work and play!